They have always honored their commitment to timely orders and exceptional customer service. Locally, their prices can’t be beat. That’s why we drive almost all the way across town to pick up our prints. I only use DPC. They understand my business, have great customer service, and do an excellent job. Prior to printing here, I shopped around. We found their prices to be the best in Colorado. We even looked on the internet, but the DPC pricing was much better. I strongly recommend them! We had a last minute change & they made it happen! Sierra was so helpful with my company’s printing needs! She was patient and worked quickly with me to get our project printed for our upcoming trade show. We even had a last minute change that she was able to make happen! When we were referred to DPC, we knew we had the right company for the job. Over the last year, they have proved time and time again that they are more than capable of helping our growing restaurant with amazing marketing ideas and good looking prints every single time. I have worked with DPC for almost 4 years now. The website has allowed me to share my songs with people all over. I will continue to do business with DPC and I feel confident that anyone that uses this company will be satisfied with their products and services. I’ve been working with DPC for well over 5 years and they have been a trusted partner and instrumental to our businesses success. These guys are the real deal and they have always given us 100%. I highly recommend giving them a call and becoming a Denver Print customer. You won’t regret it. The client was very happy, as were we! It can be difficult working with vendors you haven’t/are unable to meet until onsite but from the first communication, the team was extremely professional and very clearly knew their stuff. They are all-stars all the way through execution and the client was very happy with the end result, as were we! I am a local artist working out of Denver. Recently, I decided to use photographs of my paintings to make “Jennie Lou Art” calendars. I googled “printing companies” and came across “Denver Print Company”. As I began working with Jessica and her team, I was very impressed by the customer service, attention to detail, reasonable prices, and prompt execution of my order. Overall very pleased and satisfied. There was some confusion regarding the completion time and it had us quite worried, but DPC pulled through and made it happen. My acrylic Project turned out very well and working with Calvin was a nice experience. He really knew what I was looking for. I have been using Denver Print Company since it opened. Not only does Dan and his team provide great service and quality products, he also brings his knowledge and experience as a business owner to help ensure your project has the impact you want. ★★★★★ They do great work. We had them design our menus for our restaurant and they turned out beautiful. They are friendly and super helpful. ★★★★★ I was under a deadline but DPC worked with me to get my designs ready and approved and had my banner and CD covers ready for me right before I left for tour! They’re very easy to work with and the quality of their work is incredible. Will definitely be going back! Always excellent service and great printing. Love how our projects come out and that they were on time. This company is AMAZING! Not only did they design my company’s logo, but they did a 4 foot X 4 foot 3D print of it for my office and everybody who walks in is blown away by it and asks me where I got it done. They handle all of my business card needs and even helped us come up with a better design for them. We love Denver Print! I have been working with DPC for almost two years. They always go above my expectations. They bring quality and they value their customers. 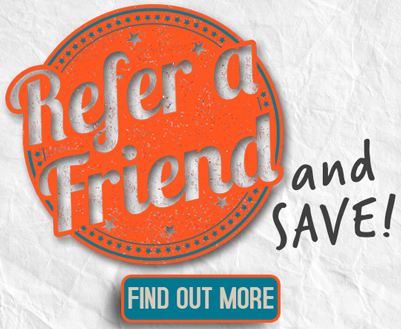 I will continue to refer people and stay a loyal customer. DPC always performs their best to meet deadlines and do quality work. I really enjoyed my experience working with Calvin. He was professional, knowledgeable and friendly. The process was smooth and the results amazing. Highly recommended! Their prices are excellent! Best in town! As a professional graphic designer, Denver Print Company has been my ace in the hole for printing all my major projects. I have relied on their top quality products, service and expertise for years. They are always on the cutting edge of print technology. Their prices are excellent! Best in town! I have used online printers in the past and you guys are a bit more expensive but being able to have a local printer and someone I can easily chat with is very important. While quality and timeliness is important, nothing can replace good customer service and communication and your staff does that very well. I wanted to thank you again for coming to our rescue last week. You produced some epic-quality targets and signs for us on a serious 11th-hour request, and we couldn’t be more pleased with the final product. I wasn’t expecting it to look that awesome! I was extremely impressed with the outcome …. very! I wasn’t expecting it to look that awesome! I have already told many people about DPC. Thanks to my sister.. ..she’s the one that drove by and recommended that I go and I’m glad I did! Best investment I ever made. This company has been helping my small business since day 1. From my logo to the signage and vehicle wrap design they have done it all. I highly recommend their services. Excited to have our new menus on the wall!! A little miscommunication on my deadline but was quickly resolved on the same day and when I got my menu’s there were a few things wrong on my part but again quickly resolved. Excited to have our new menus on the wall!! Working with Carlos and Kala was an absolute pleasure! Working with Carlos and Kala was an absolute pleasure!! The project was new to us and to them but they made it work amazingly well and we are so pleased. Great job Denver Print Company!!! Blue Tile Human Resources, LLC. This company is great and they do everything! ★★★★★ This company is great and they do everything! We have been using them for a while now and we will continue to work with them. Thanks Denver Print for all the hard work!! 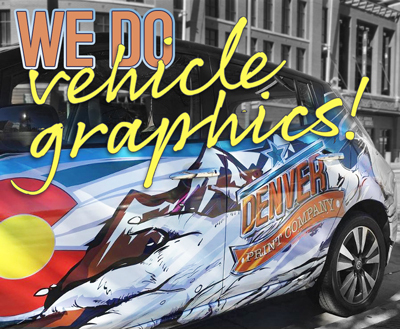 DPC is hands down the best print solution in Denver – arguably in Colorado. The service, quality of product, and ability to meet tight deadlines has exceed our company’s expectations – and we consider them our close partner when printing needs arise. They did a great job with our business cards, flyers, posters and even helped with t-shirts and polos for our Doctors. You are a true value for any business getting started. We started our project working with Eric. He helped us with logo and flyer design for two programs and was great to work with. Sierra has been absolutely great as well and the products and customer service have been excellent and the prices were the best we found. We have printed with DPC for numerous Microsoft projects. Microsoft has always been exceptionally pleased with the quality and we are always very happy with the speed in printing. I definitely recommend the Denver Print Company crew! Easy to communicate and get my ideas through. The turnaround from purchase to pick up was fast with excellent service. ★★★★★ Excellent team working at Denver Print Company. They gave us exactly what we wanted at a great price. Communication was excellent. Always quick responses, competitive pricing, and great products! I had a great experience on projects that required a quick turnaround. Thanks to the DPC team for awesome products and service. Francely is awesome to deal with. I appreciate it. Great customer service as even when issues arose they were extremely prompt and made sure things got completed on a tight timeline. I have always had a great experience with your company and team, every time I make contact. Service and products are always affordable, done right and on time. Thank you. I don’t see anything that needs immediate improvement. I was very pleased with the fast communication from the staff and ability to work with my inexperience with Adobe Illustrator. As a show organizer from out of the area, I have relied on Denver Print Company for my show signage and banners for the last three years. Their prices are competitive, quality great, and service outstanding. I look forward to using them again next year. I have worked with the DPC for just over a year. As an owner of a business, I understand the importance of first impressions. I continue to do business with them because they care about my image and the products that they put out as much as I do. I very much recommend the DPC. ★★★★★ Up against a wall on an unreasonable timeline, DPC met & exceeded expectations. They ushered my project through and beat my deadline. Print quality was excellent, good line and very good color. Price was excellent even considering the rush, better than any other bids from local shops. Will use again. I wanted to thank you for the amazing job you did with our banner. The entire team loves it! Denver Print Company provides exceptional one-on-one customer service. They’ve been able to meet all our needs — even on short notice! We’ve been really happy with the product quality and very competitive prices. They’re definitely our go-to for large format items such as our company branded tablecloths. Highly recommended! They were super friendly and really cared about getting my project material printed before my deadline. They went above and beyond to make sure everything was perfect. I am so happy with the quality of work that this company produces. I’ll definitely be using them in the future! ★★★★★ Amazing crack team that executed a rush print order in two hours, when “Fast” Signs quoted me at five days. Sierra provided superior customer service. I’ll be coming back! Yard signs are a must have if you're in the business of home maintenance or repair. Be the first business Colorado residents call for their landscape, handyman, or roofing needs. Get your phone ringing this fall! Business cards from Denver Print Company We offer a variety of different shapes, weights, and colors for your first impression - The highest quality printed business cards in the Denver metro area. We'll price match any local competitor on 13-ounce vinyl banners. Denver Print Company has got the lowest prices on vinyl banners that you'll find anywhere in Denver. Just show us the other guy's quote! Banner + Install – Charles D. Jones Co.
Why choose Denver Print Company? Welcome to the Denver Print Company. We are very proud to be one of the first print shops in Denver to offer a wide selection of recycled papers. Over the last few years, our fragile ecosystem has been ravaged by forest fires, beetles, and urban sprawl. For these reasons we decided to change the paper we use, our printing process, and take steps to make our facility run cleaner and create less waste. If you are not part of the solution then you are part of the problem. As natural problem solvers; the owners of this American printing company aim to set a standard that other print shops can model. Digital Printing Services – Business Cards, Flyers, Postcards, Posters, Brochures, CD Covers, Door Hangers, Tickets, and Calendars. Custom Denver Signs – Yard signs, Banners, LED signs, Aluminum signs, Building signs and more. Special Services – Rush 72 hour print, Holiday Print, and more! Contact us today. 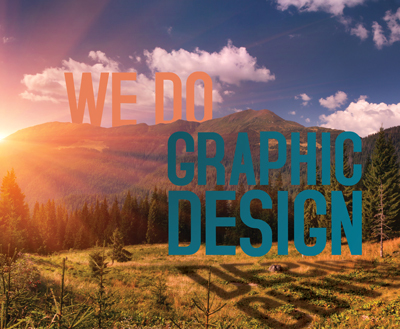 The in-house graphic design team at Denver Print Company has a combined 20 years of branding and marketing experience. We handle logo design, stationary design, branding, marketing materials, web design, social media, menus and sign design. The Denver Print Company team is devoted to creating superior marketing collateral for your brand. Surf our portfolio and submit your design request. Our service area for sign installation includes Denver, Arvada, Aspen, Aurora, Boulder, Broomfield, Colorado Springs, Commerce City, Englewood, Ft. Collins, Glenwood Springs, Golden, Greeley, Highlands Ranch, Lakewood, Littleton, Loveland, Parker, Silverthorne, Thornton, Vail, Westminster, Wheatridge, and Winter Park.